Contrary to previous research findings cannabis smoking does not appear to be associated with an increased risk of developing oral cancer, according to a large study from the USA. The results appeared in the June issue of Cancer Research. 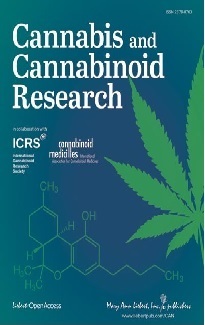 The study of Dr. Karin A. Rosenblatt and colleagues found no association between cannabis use and increased oral-cancer risk, regardless of how long, how much or how often a person has used cannabis. "When asking whether any marijuana use puts you at increased risk of oral cancer, our study is pretty solid in saying there's nothing going on there," said Dr. Stephen M. Schwartz, one of the authors of the study. But because the incidence of extensive, long-term cannabis use was low among the study population it is unclear whether extremely heavy use over many years is related to the risk for oral cancer, Schwartz said. The study involved 407 oral-cancer cases and 615 healthy control subjects from the state of Washington who had been interviewed in detail about their history of marijuana use, among other lifestyle factors. Participants ranged in age from 18 to 65. 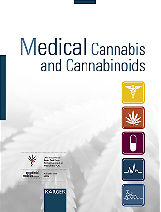 The new study counters findings from a smaller investigation with 173 oral cancer patients, published in 1999, which suggested that ever-users of marijuana were at more than twice the risk of getting head-and-neck cancer as compared to non-users. The earlier study had a number of limitations, most importantly the fact that its control, or comparison, group was comprised of individuals who had donated blood at the same hospital where the oral-cancer cases had been treated. Blood donors tend to have fewer high-risk habits than the general population.